Jelli Beenz a brand new put up of 100 grams. Great for kids and babies in a playful color range. 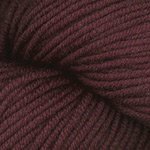 Rowan Yarns Cashmere Tweed is a premium tweed "yarn" composed of 80% extra fine merino and 20% cashmere. It is available in eight shades and knits up like a DK "yarn" which makes it ideal for accessories and garments with a classic tweedy look. 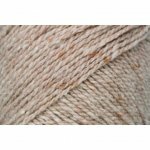 A heavy-worsted to bulky weight alpaca "yarn" HiKoo Oh! is extremely soft and luscious. This chainette constructed "yarn" is light and warm and will work up into squishy sweaters and accessories. Cafdiff Cashmere Boucle is a true luxury "yarn" spun with 98% high quality cashmere. 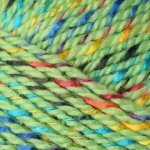 A squishy wonderful "yarn" to knot or crochet. 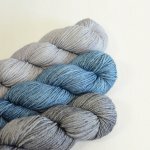 Juniper Moon Aine Yarn is 100% silk and boasts 327 yards per skein. Great free pattern support. The hand knit and drape on this "yarn" is unbelievable. 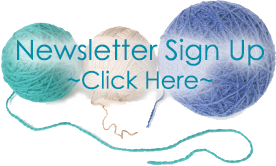 rendsetter Yarns Fleur is a boucl� "yarn" that transitions through a palette of colors in each ball. 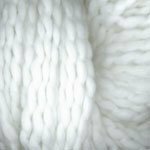 Ideal for those with wool sensitivities this cotton and acrylic blend is perfect for warm weather garments and accessories.